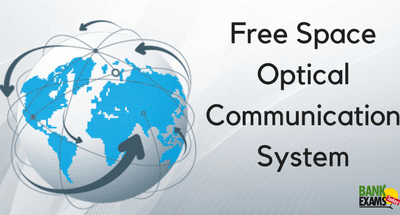 What is frees space optical communication system? Free space optical communication is also known as optical wireless or INfrared laser which connects to the transmission of modulated visible or infrared (IR) beams in the atmosphere to get optical communications. It uses lasers to transmit data in the air and it works on the fundamental rules of an Infrared television remote controls, wireless keyboards or IRDA ports on laptops or cellular phones. This project is signed by three companies named Andhra Pradesh's fully owned government company named State Fibernet Limited (APSFL), X development LLC and Alphabet's moonshot factory. This will raise the potential of Andhra Pradesh by accessing high-speed internet connectivity working on project loon. Andhra Pradesh state fibernet limited agency (APSFLA) will implement the management of this Free Space Optical Communication project and due to this; it becomes one of the largest state-owned telecommunication company. This project's first phase will cover Households and in the second phase it will try to cover Panchayats and some of it is already connected to the network. To boost and develop digital infrastructure with excellent technology by improving and extending internet connectivity in the Andhra Pradesh state. It will increase reliability and connect remote and tough area, forest region and river crossings. FSOC will provide qualitative and low-cost connectivity in IT, governance, healthcare sector, the education sector and banking and financial services to empower people of a state. This will reduce digital divide and foster economic prosperity and improve quality of life. X Corporation will supply almost two thousand FSOC links in a state along with engineers and experts who will work in collaboration with APFSL employees to identify and choose the proper site for deployment of FSOC links. FSOC is a part of Bharatntnetinitiative and the first to start state lead model in India in an innovative way by using aerial fiber model over utility poles. This project will cover all sectors and benefit 1, 45,000 thousand houses, more than 12000 Panchayats and 60000 Schools. It will also provide internet connectivity to 10000 government departments, 96 municipalities, 14 business organizations and 6000 public health care centres in Andhra Pradesh. Under free space optical communication project, APSFLA has already 23000 kilometres in 13 districts of Andhra Pradesh state out of 55000 kilometres which was the target to be achieved. It was set up to give high quality with affordable digital services like data, information and video to each household, Government departments and private companies to connect nearly 53 million people in a state. FSOC has 52% of a ring and 48% of linear connectivity which covers almost 85% of the home. Target is to connect 12 million home and 130000 government and private organizations at the end of 2019. It will provide high bandwidth to Telecom Company to connect more than 15000 towers to link with microwave to increase service from 2g to 3g or 4g with a speed of 20Gbps at a distance of 20 kilometres.